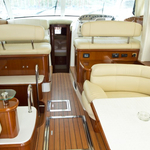 Day Dreamer is a name of boat Jeanneau Prestige 46 ,which was produced in 2008. 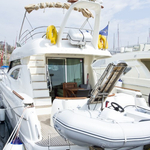 You can rent this boat from marina Primošten in region Sibenik. 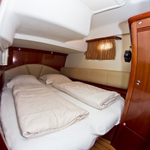 Day Dreamer is equipped with 6 beds. 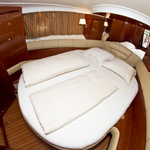 Sleeping places on the vessel are configured in 6 +1+1 scheme. 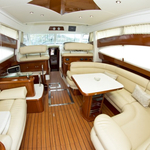 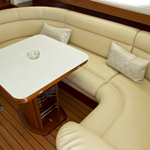 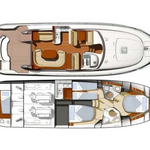 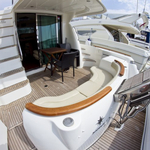 3 cabins are situated inside the yacht Day Dreamer . 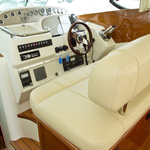 Use this site to find our offer in this section: Motorboats Sibenik. 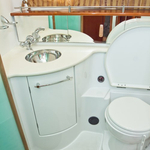 Guests can feel satisfied on this vessel , because there are 3 bathrooms for their disposal. 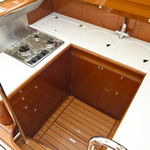 With 1500.00 l l. in diesel tank you can sail really far and still be independent because of 670.00 l liters in water container. 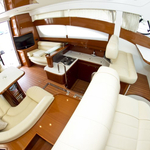 Day Dreamer is equipped with engine 2 x 500 PS CUMMINS - 500 PS. 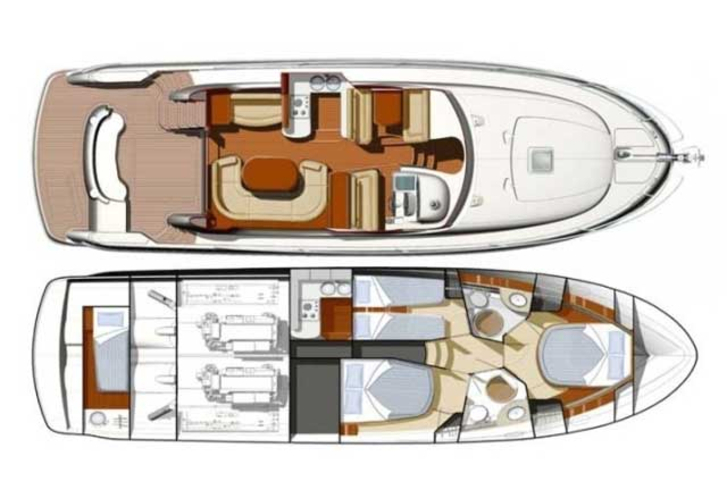 Boat's dimensions are: LOA - 14.55 meters , beam - 4.36 meters and 1.20 m of depth. 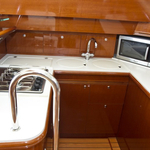 On the yacht is placed following equipment: Gps plotter, Autopilot, Internet Wi-Fi, Gps, Radar, TV, DVD player, TV, Air conditioning, 2 refrigerators, Bed linen, Radio cd mp3, Heating, Icemaker, generator, refrigerator in cockpit, Hydraulic gangway / dighy crane, Flybridge, Anchor electric windlass, Bimini top, Bow thruster, Wc pump electrical, Microwave, separate skipper's cabin. . Security deposit is at the level of 5000.00 EUR. 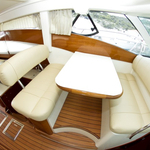 In our search machine you can effortlessly check avalailability of sailboat Day Dreamer from Primošten by opening this link: Motorboats Croatia.